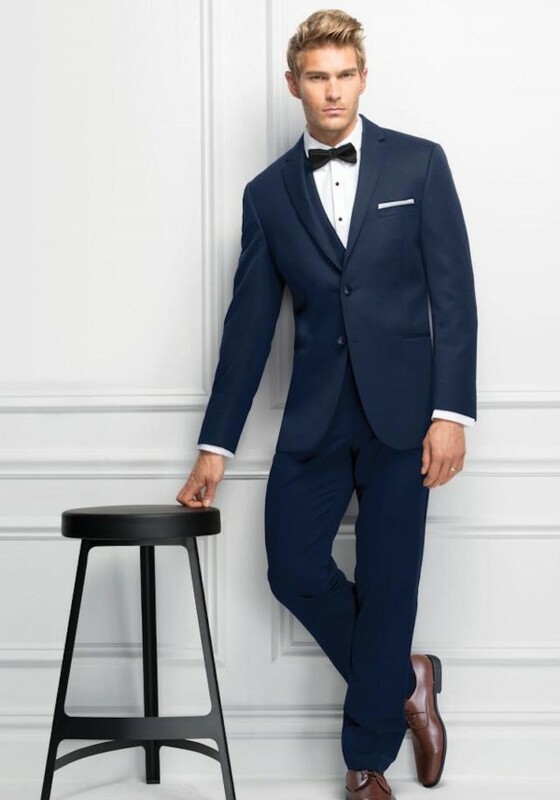 A contemporary style with a flattering fit, the Navy Sterling Wedding Suit is tailored to fit all body types. Its lightweight Venetian Super 130's wool fabric gives it the most comfortable fit and feel available. Details such as the self-framed notch lapel, elegant purple satin lining and matching modern slim fit pants with an adjustable waist, belt loops and buttons to accommodate suspenders make this suit an excellent choice for your next formal affair. Pair it with a matching wool vest for a 3-piece look.